My name is Jonathan. In 2004, after experiencing a minor infarction of the right kidney, I received a body scan which yielded a devastating result. It revealed that I had a large mass on my liver, about the size of a softball. I was stunned, shocked, and uncertain of the impact it would have on my current life. Thoughts on my mortality were prevalent in those days. At the time, I was not affiliated with the UCLA healthcare system; however, I had always been a huge fan of UCLA, growing up in the John Wooden era in Los Angeles in the 1960s and 1970s. My primary care physician, a fairly accomplished physician in his own right, then said something surprising: “The man you’re eventually going to want to see is Dr. Ronald Busuttil at UCLA.” My first thought was to wonder who this man is and what he had accomplished, such that a general practitioner in Agoura Hills is so acutely aware of his talents. I was fortunate to have a quality insurance PPO plan with my employer, Raytheon, with whom I had worked for since the Mid 1980s, so I quickly contacted Dr. Busuttil’s office and set up a consultation. Thus began my 12 year relationship with the man, whose peers simply referred to as “The Master”. Not because he was overbearing and demanding, but just because he is simply the premier liver surgeon on this planet. It sounded impressive obviously, but I had a far more important question on my mind. Was I going to live or die? The Pfleger Liver Institute ran like a well-oiled machine. Every process was in its place, every staff member under his direction, operating with great efficiency. I was put in touch with my own nurse practitioner from his staff, Mia Cam Cam. She would coordinate all of my appointments, answer questions, and guide me through the process. 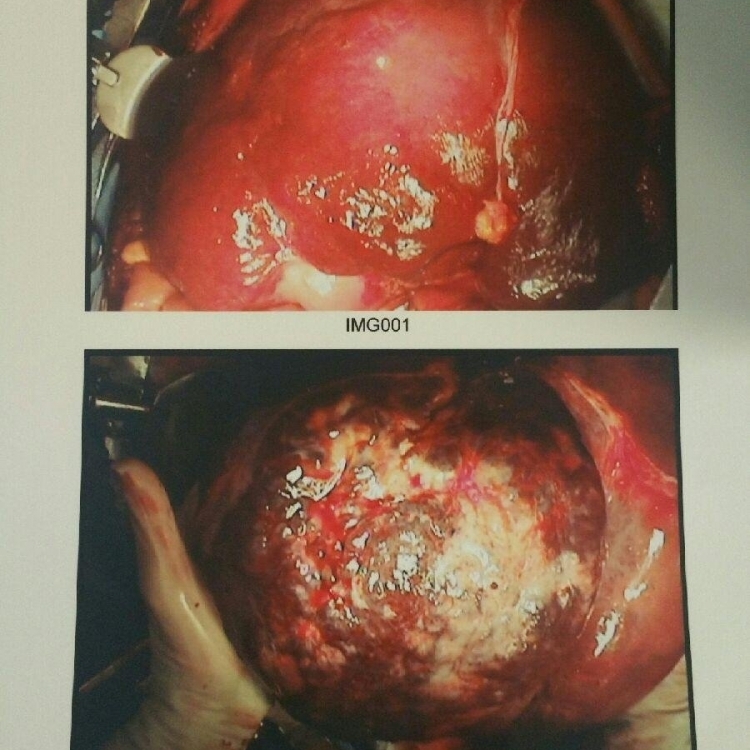 The diagnosis was a large cavernous hemangioma of the liver. Dr. Busuttil was very clear that as far as malignancy was concerned, I had little to fear. The size and direction of the growth, and moreover its ultimate impact on liver function itself, were the concerns for me. On that first visit it was immediately obvious to me that I was not in imminent danger and that Dr. Busuttil had seen it all before and knew exactly what he was doing. Resection or transplant was always going to be on the table, but the Dr. was very reassuring that due to the mostly asymptomatic nature of the growth, carefully monitoring the tumor and regular scans and liver function testing would be prudent path forward. With just the right amount of humor and reassurance, I left the first office visit going back to my old life with little fear and intense relief. For the next 11 years, I came back once and sometimes twice a year. My career blossomed, my children grew and enjoyed a meaningful life. I looked forward to every visit with Dr. Busuttil, always getting a little more information on the current status. Dr. Busuttil was always very thorough and patient with me in those meetings. He answered all of my questions, and I never felt rushed. He treated me like I was his most important patient, even though there were so many who seemed so much more in need of his time than I. He never failed to end a visit without discussing some personal interest of mine such as basketball or automobiles. He would always remind me to look out for those elbows in my basketball games. He ended every visit reassuring me that I was going to live a long life and everything would be fine, and because these words were coming from him, I believed it. By 2015, my tumor had grown so large that it was more the size of a football or even a small basketball. My liver function was beginning to suffer and the doctor made the decision that in my case a course of action was required. The goal was to go in and see if a resection was possible. Being a forward thinker, Dr. Busuttil made another decision that ultimately may have been life saver. In taking a proactive risk adverse approach, he decided to have me officially listed for transplant first prior to attempting the resection. If the resection were to be successful, great, but if not, then I was already on the list ready for transplant. In December of 2015, I was approved on the transplant list. It turned out that the tumor had consumed so much of the liver that there was not enough healthy liver remaining to perform the resection. Rather than slice me open, Dr. Busuttil had gone in laparoscopically, which reduced pain and recovery time. I now faced the prospect of a slowly decaying liver with increased pain and risk of rupture, while waiting for a liver and hoping my priority on the transplant list (meld score) would be high enough to make it happen. I’m not going to go into the details of how I was able to receive a donor organ in such short period of time. I will only say that I believe that there was divine intervention on my behalf from a higher power. The power of prayer should never be underestimated and my prayers were not only answered when I received the call of a matching donor organ, but long before, when I prayed for a doctor with the world renowned skill and talent of Dr. Ronald Busuttil. No matter how scared I was, no matter how high my blood pressure had risen, Dr. Busuttil would make his rounds, give me a status, and reassure me that all was going great. I think just his presence in the room would drop my hypertension readings by 20 points. My life changed forever on March 15, 2016, five years to the day after my mother passed away in a horrific traffic accident. I woke up from surgery with a healthy new liver. The surgery was a great success thanks to Dr. Busuttil and his amazing staff. The ICU and other 8th floor nurses at UCLA Ronald Reagan hospital were compassionate and caring. Within a few days I was up and walking around. Dr. Busuttil was in personally daily, keeping tabs on my progress and reassuring me that everything I was experiencing was normal and expected. I am in general a worrier, and I don’t know how I could have gotten through it without knowing he had my back. As I began my recovery, I started walking the halls of the 8th floor wings. I noticed a large plaque signed by hundreds or maybe thousands, celebrating the 5000th successful liver transplant at UCLA in 2011. I began to think about how many lives this great man had saved, how many surgeons he had taught and inspired to go out and save others, how many experts from around the world came to him to learn. How he had devoted his life to helping bring fathers, mothers, husbands, wives, sisters, brothers, children and friends back home to loved ones when all hope was gone. How he was dedicated to traveling the globe to share his unique talents and perspectives with anyone who needed him. I felt humbled and honored to have been lucky enough to be in the presence of this man, let alone be a recipient of his craft. I thought of how he was such a pioneering force in the liver transplant community. He wears a pin on his lapel of a pig, harkening back to the days before this surgery on humans was even possible when they were doing trials transplanting livers on pigs. I pondered how far along this liver transplant program at UCLA had come in the approximately 30 years under his guidance and leadership. And finally I thought to myself, how do I thank this amazing Dr. Ronald Busuttil, a virtuoso in his craft, for all he has done for me? I guess by submitting my story on the UCLA patient stories site to celebrate Doctor’s Day events on social media and get my Dr. recognized with a red carnation. It’s the least I can do.